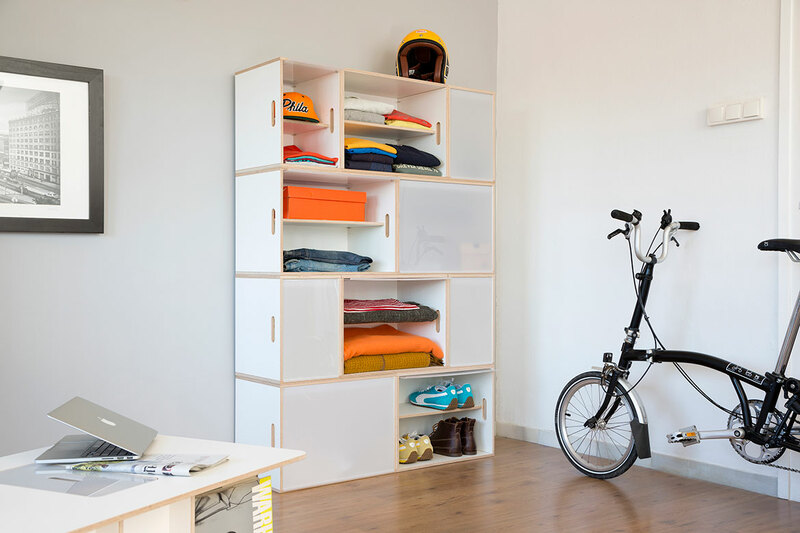 Its measures are suitable for the storage of clothes and footwear, becoming a practical wardrobe for small spaces of a depth of only 35 cm. 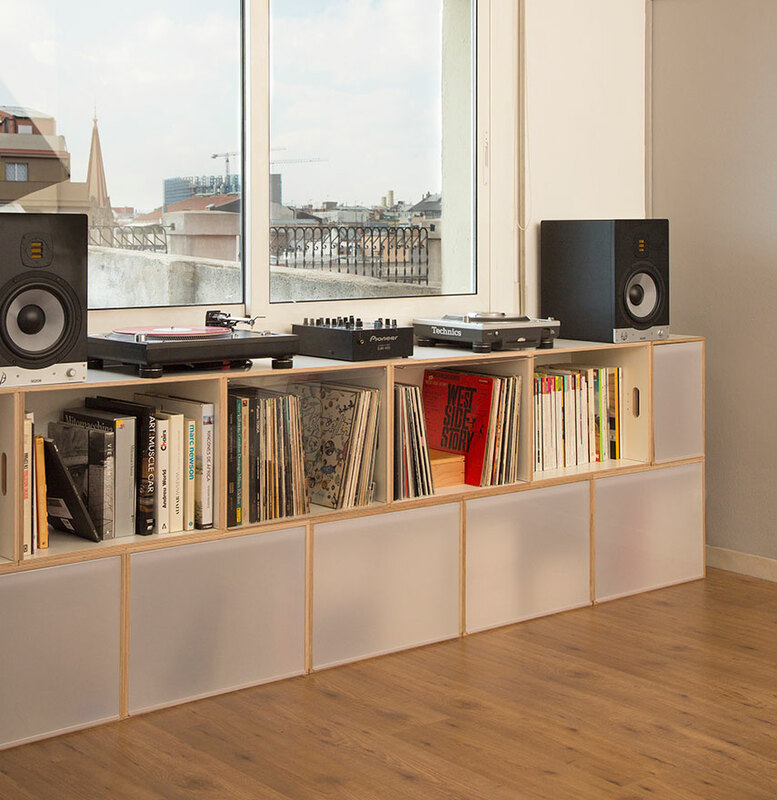 We offer doors and shelves for these XL modules. You can build a structure with the XL modules in the lower level and put standard modules in the upper level. But never otherwise. Unlike the standard modules, the modules XL do not allow structures in L shape (angle) because the box depth (35 cm) is bigger than the half of its length (54 cm). 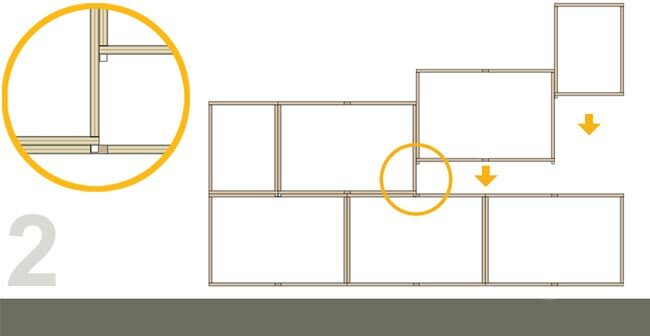 With the XL modules, you can NOT build dividing walls with boxes open to both sides. You can build this kind of structure only if all boxes look to the same side. To create all kinds of bookshelves. External measurements of the boxes: 54x35x40 cms. Internal measurements of the box: 51,6x33,5x37,6 cms. They hold up to 80 kgs of weight when stacked. 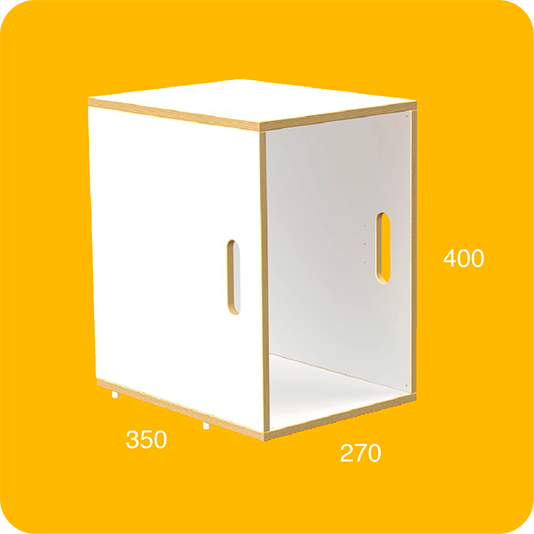 External measurements of the boxes: 27x35x40 cms. 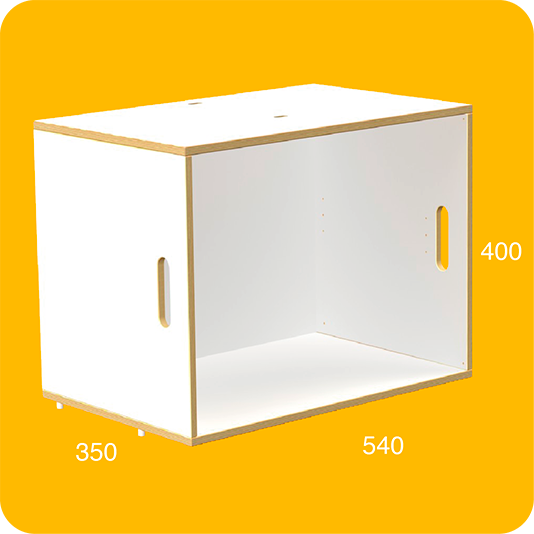 Internal measurements of the box: 24,6x33,5x37,6 cms. They hold up to 100 kgs of weight when stacked. 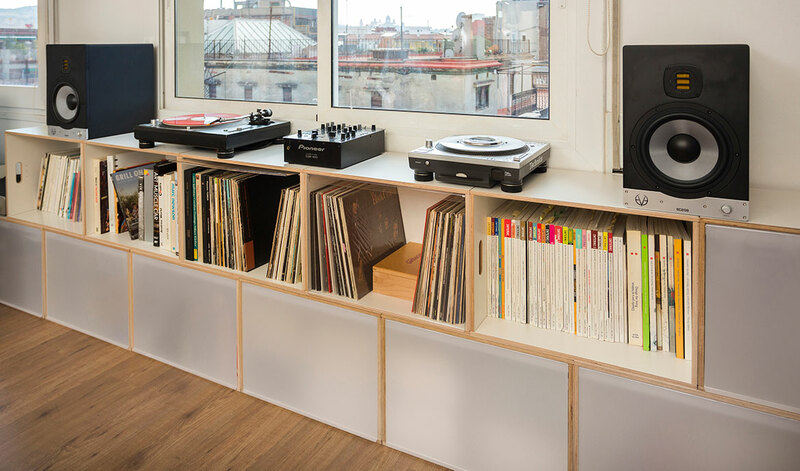 BrickBox is made from 12mm-thick birch plywood, laminated in white. 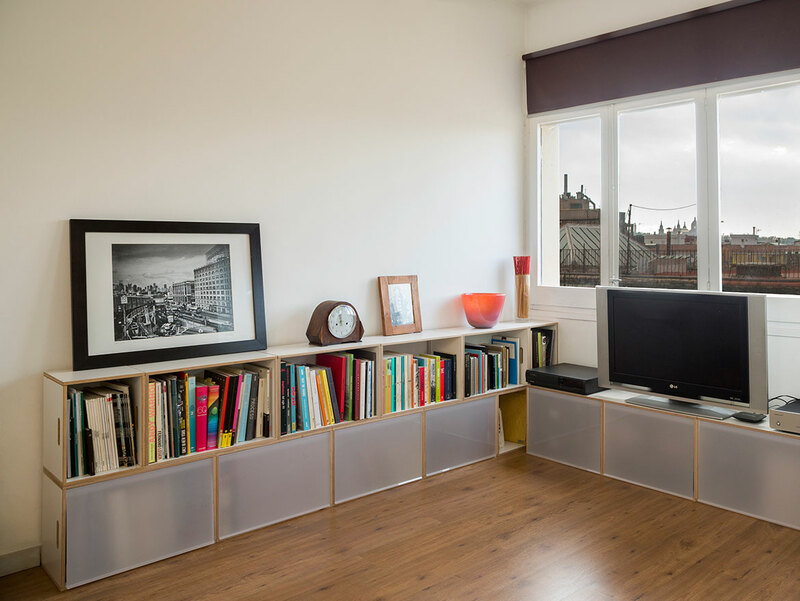 Ready-to-assemble BrickBox is sold in flat packs, easy to transport in any vehicle. hanks to their practical handles the boxes aid transport when moving house. So you no longer have to dismantle the bookshelf or box up your things: use the boxes to move things from the house to the car and from the car to the new house!